BlackBerry Accessory Roundup: One Free OtterBox Commuter Case Up for Grabs! Last week we all saw Adam's charging pod he can't live without, and the week before Kevin's extended battery review (big shock he needs one of those huh?). This week's featured accessory is one that I have grown to love, the Otterbox cases. Otterbox has been around for quite some time now, making cases that date back to the 8800 series devices, if not even longer, but they continue to change and make their product even better. Hit the jump for some more info on OtterBox and this weeks newest accessories. Be sure to leave a comment to win an OtterBox Commuter case for your device. Ever since I first got my first BlackBerry, a 8700 series device, I have always been a fan of slim cases, or no case at all. With the devices continuing to get slimmer and slimmer, and my hands not shrinking to fit them comfortably, I have recently been seeking alternatives to the standard slim cases I was using. 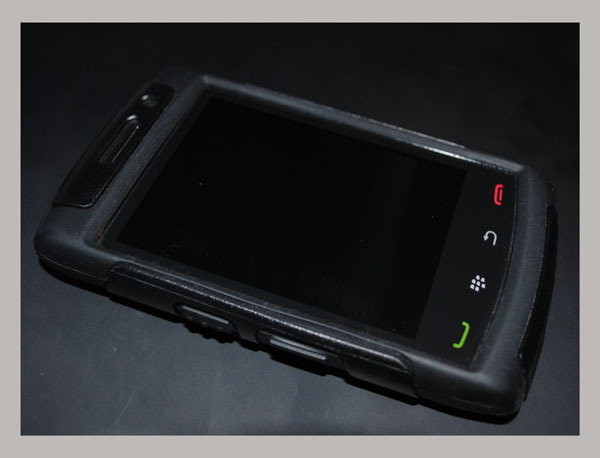 Everyday life has become so busy and honestly at times it can be hard to be as cautious with my BlackBerry as I would like to be, and the Otterbox has put my mind at ease knowing the device is fully protected. What I like the most about the Otterbox Cases were that they fit extremely well, very easy to install, and protect all your ports. The Commuter Series (pictured above) was my personal favorite case because while it added an amazing amount of protection from the rubber case and the plastic over it, the case also added some additional bulk which made the device sit perfectly in my hand. The Impact Series case offers even more protection, at the cost of additional bulk. As someone who could be considered somewhat indecisive, finding a case that offers style and protection while still keep maximum comfort while the device is in hand is quite a struggle. In the early phases of my case hunt I used to overlook Otterbox, and looking back, I realize how much of a fool I was. Granted, their cases only come in black, but how many of us end up wanting to black their BlackBerry housing's out anyways? The Otterbox has quickly grown on me and become a perfect compliment to my lifestyle. I tend to be on the go often, and can't tell you just how many times I have missed my pocket with my phone, or nearly dropped a phone due to a slick surfaced slim case I put the phone in, but those days are now behind me. With the Otterbox case protecting my BlackBerry my mind is at ease, knowing my device is fully protected. Personally, I never seem to keep a device for a very long time, and throughout all of my recent device changes, the first accessory that I always end up purchasing is an Otterbox case for the phone. Although they may look extremely bulky, or beyond comfort, I would say that many of you will be shockingly surprised with the added comfort along with the amazing protection that the Otterbox line of cases will deliver. Check out the cases for your device here. For your chance to win a free OtterBox, simply leave a comment to this blog post telling us what you do that would make an OtterBox the right case for you. Contest ends this Sunday night at Midnight PST. Please, just one entry per person. 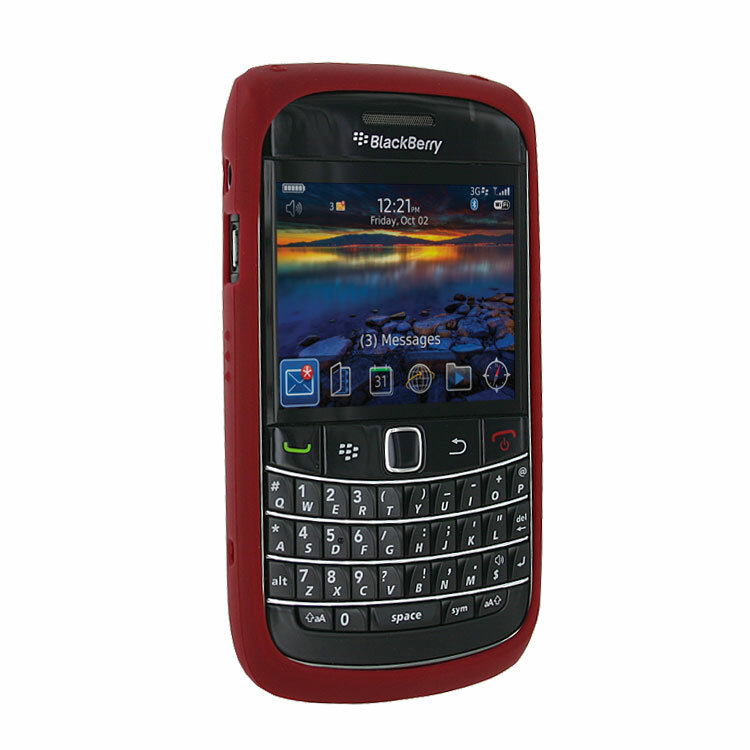 Celebrate Valentine's Day with a Red Case for Your BlackBerry! We have a full supply of red cases for all devices so you can get in the spirit of Valentine's Day. You can choose from a variety of skin cases, soft cases and hard cases that will suit your needs. Check out the full line at ShopCrackBerry.com.